A view to the lighthouse at Carraig Fhada from the Singing Sands. High above the lighthouse a plane is passing over on its way to Islay Airport at Glenegedale. 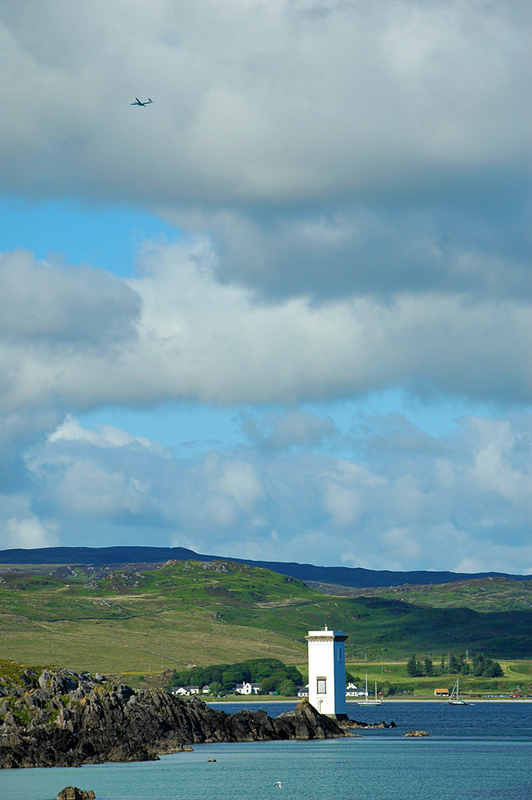 This entry was posted in Beaches, Cloudy Weather, Landscape, Lighthouses, Repost, Sunny Weather, Village and tagged Carraig Fhada, Islay, Kilnaughton Bay, plane, Port Ellen, Singing Sands by Armin Grewe. Bookmark the permalink. @islayblog good morning Islay, good night CA.